KE01 Traditional Tribal Kelim uses a palette of terracotta, red, rose, pale brown, coffee brown and natural beige. A short length knotted fringe in an ivory colour along the width of this KE01 Kelim completes the hand finish. Savour the romantic nomadic life with our classic-style Kelims, hand woven in India with a mixed yarn of 80% pure new wool and 20% jute fibres. 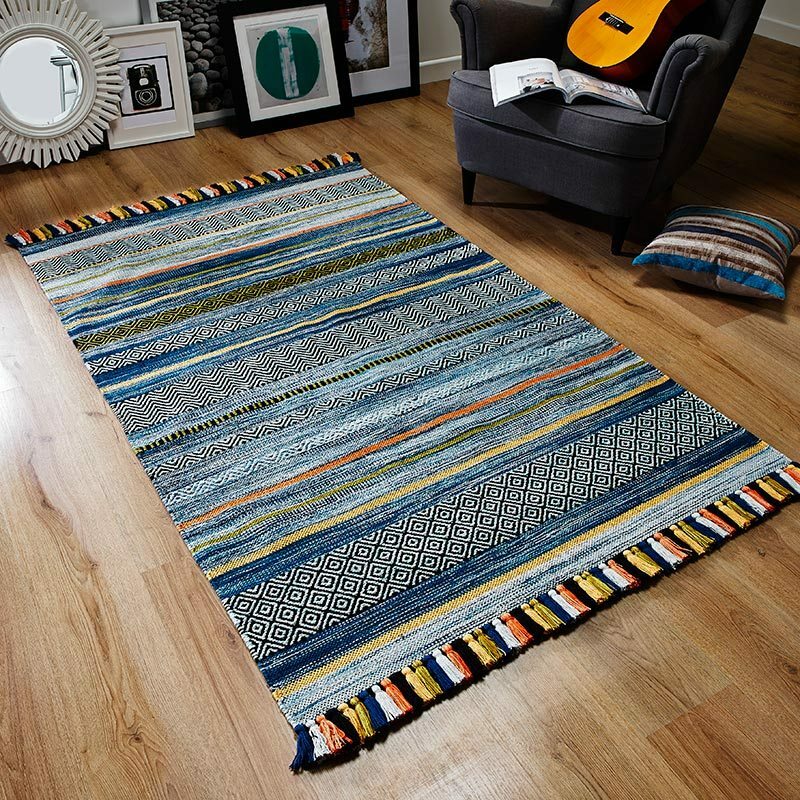 A style statement must-have for the contemporary interior, these hardwearing flatweaves are available in both bordered and patchwork designs with genuine fringes created from the extended warp strands of the base. With design elements derived from traditional tribal symbols in the rich, earthy colour ways of historic rug making, they draw the eye and soften both the visual and underfoot feel of wooden, tiled or stone flooring. Available in medium and large sizes, why not spice up a plain carpet or create a feature wall with a Kelim wall hanging for dramatic effect in minimalist settings.